The illustrations on our cover are taken from Starting School by Janet and Allan Ahlberg, published by Viking Kestrel (0 670 81688 4, £6.95). We are grateful to Viking Kestrel for help in using these illustrations. How are the adolescent inheritors of the sixties and seventies hippy scene coping with the aftermath of their parent's free-wheeling attitudes and values? If Ms Wilson is correct, very painfully, with a desperation for orthodox conventionality that is manifested in anger and neurotic despair, anorexia, insecurity, an inability to relate to others, sexual naivety - this is the price that early parental liberty exerts. It doesn't make a pretty read! 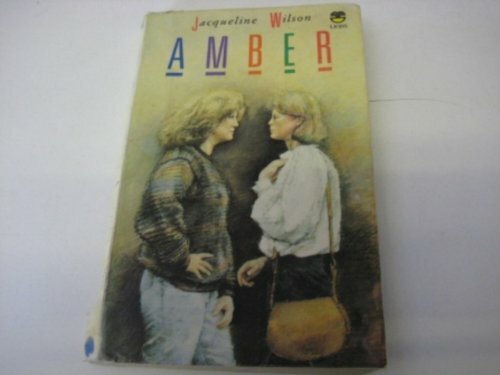 Amber's suspected pregnancy at 15 focuses her mind on all the damage that Jay, the mother, has heaped on her daughter and brings home to everyone the mess of lives that the hippy experiment created. A well-written, thought-provoking read for mid-teenagers.